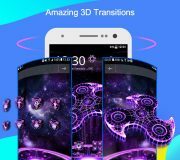 Download CM Launcher 3D APK v5.78.00. By downloading CM Launcher users will be getting following things at their disposal. 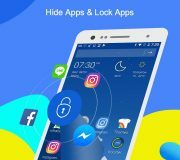 Offers security; now hideaway all your app in a private space. Improved efficiency; with this app’s quick search and sorting capabilities, it will give phone’s life a boost and increase its functioning capabilities. This is none of the slim, speedy, smooth and secured Android Launchers on the Google Play. CM Launcher comes with following main features. 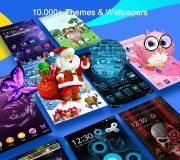 Users are offered to make use of 10000+ 2D & 3D themes and icon packs. Now customize with the following. Also now you can customize your home screen. Now CM Launcher offers users to perform 3D transition by use of following. CM Launcher offers the option to customize your default home screen by use of following. 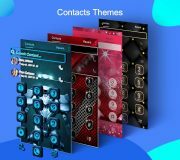 You can find new and trending themes on CM Launcher 3D app. 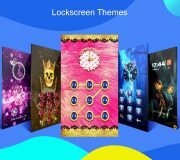 Few of the following are the most trending themes available free of cost on CM Launcher. Now you can let your creative side go wild and become a designer. Change the UI on your android launcher and make you own icon packs, themes as well as wallpapers. Now you can rest assure about the security of your apps with CM Launcher. 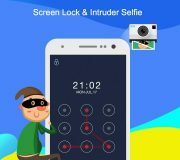 Protect your files and apps from any unwanted intruder hidden away in Lock apps folder without rooting your mobile device. Unhiding the apps is also a breeze. With a simple tap of the Boost button you can have your phone working at optimum capability. Now users can keep their menu clean and reorganized by managing applications into small folders and batches. With Notification Reminder feature, you will be able to directly review the messages from your messaging apps directly on to your screens.